I was not planning on racing today. I was (and still am) planning on doing the club trail run tomorrow. To fit with the trail run, I wanted a good speed workout today. But Clay’s allergies are precluding him from hard outdoor efforts, the Rubles and Gutierrezzes went to a track meet… I did not have anyone to do speed work with and it is MUCH easier to do a long speed workout with others than by yourself. 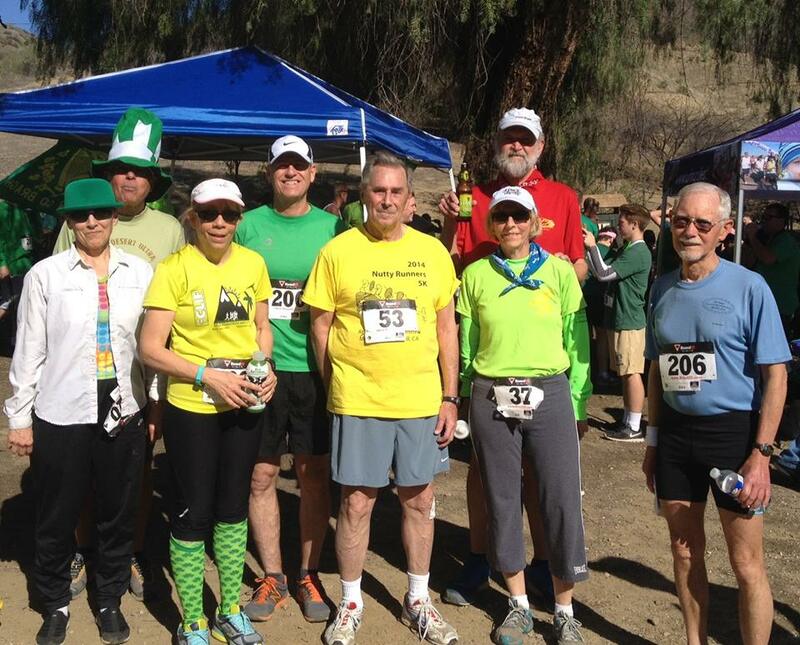 Alan and others have been mentioning Santa Clarita’s St. Patrick’s Day 5k, so I thought, why not? This event has been going on for decades. It is held at Mentryville. Mentryville was once a oil drilling community dating back more than 100 years. It is right outside of Santa Clarita at the south end of Lyons ave. I have run this race twice before in 2002 and 2004. My times back then were 22:49 and 22:54. I do not have the gps data going back that far, but I actually think that the course was short. I recall that it started and finished at the same place, while today the start was down the road a ways from the finish. Also, one of the old timers mentioned that they fixed the “short course” problem. The course goes from the historic buildings of Mentryville up a paved road up a canyon. At the halfway point it reverses back down the hill. The course started a couple hundred meters down the canyon from the finish so the uphill was slightly longer than the downhill. I lined up near the front and took off as quick as I could. I noticed a number of guys who looked like they were speedy and they looked like they could be my age. One of them took off REAL fast. The next time I saw him was chasing the leader down the hill. 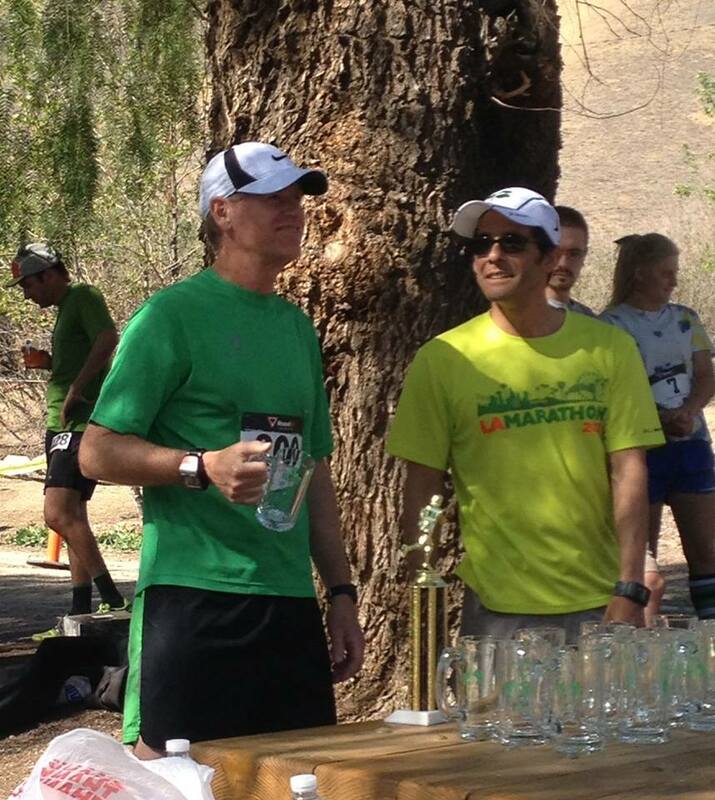 He was 53 and placed 2nd overall right behind Geo (who works and runs for Runners Lane.) I ran up the hill as fast as I could. A few people went by but only a few. I treated it like it was a 1.6 mile race knowing that I did not need to save anything for the downhill. I battled back and forth with one guy in particular before finally pulling ahead. My first mile was 7:19 and the second was 7:47. It got really steep the last half mile before the turn around. Check out the 18.6% grade. I did the turn around about 10 seconds behind one guy whom I figured to be in my age group. I surged the steep downhill and caught him fairly quickly. Now there was no one in sight out ahead of me but I kept pushing the pace. With a half mile to go I spotted a guy 50 – 70 meters ahead. With the winding road I lost contact again for a bit. With about a quarter to go I passed him and spotted one more 20 or 30 ahead. He took a couple of turns wide and I did not. We came out of the canyon into the last straight away. He had spotted me and was surging but i was still gaining. With 150 to go he still had 10 meters. I imagined the finish of that 4 x 400 a month back. I just did a turn over as quick as I possibly could. I was breathing in and out with each step. I caught the guy 20 meters out and went right on by! I finished so out of breath I had to stand there a minute with my hands on my knees but I was stoked! I out kicked someone!!! My 3rd mile split was 6:10 and my pace for that final .11 mile was 5:21! The total time was 21:50. I am not certain, but one of those last two was in my age group and as it turned out so was the guy I passed right after the turn around. I placed 2nd in a pretty tough age group. I do not yet have the official results but I was about 10th or 11th overall. Age group awards were mugs! Let me explain here, the title of this post. Today’s run was an obvious strong Personal Course Record! Additionally, it is even more. I plugged the time 21:50 and elevation profile up 841 feet, down 831 feet of this race into this race calculator. The calculator is supposed to show the equivalent time on a flat course. The output was 19:42!! I do not quite believe that I am in 19:42 shape, but it was real awesome to see that number come out of the calculator. A few of the long time HDR members were there to race with me. Both Diorios and Alan Brown also won mugs for age group top 3 finishes. As you can see Joe and Kathy had some fun with St Patrick’s day costuming. Bev said she did the race because she had to have someplace where she could where the socks. I was dressed in green by coincidence. I just grabbed a green shirt and wore it not even thinking that I was going to a St Patrick’s day race. You will note also, that John Swallow was enjoying the unusual, though perhaps “usual” for a St. Patrick’s Day event, post race liquid refreshments! ← Ups and Downs and Ups and Downs….